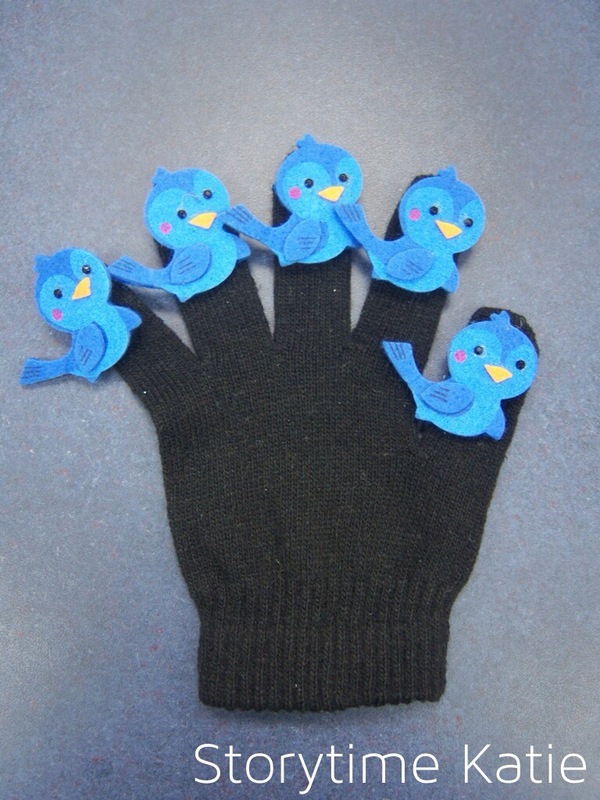 Today, I present my finger puppet glove. 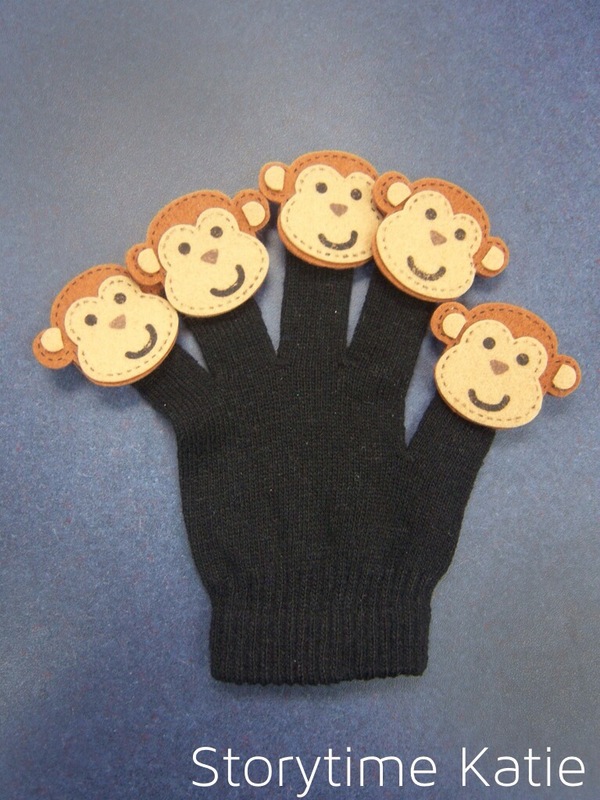 I used to have a puppet mitt at my last library and I found I really missed have that resource here. So I made my own! To get the gloves ready, I hot-glued a Velcro dot to each finger. I did originally try just Tacky Glue and the dot did come off after a few uses. To make sure the hot glue didn’t go through the thin layer of the glove, I used a piece of cardboard and kept it inside where the finger should go. 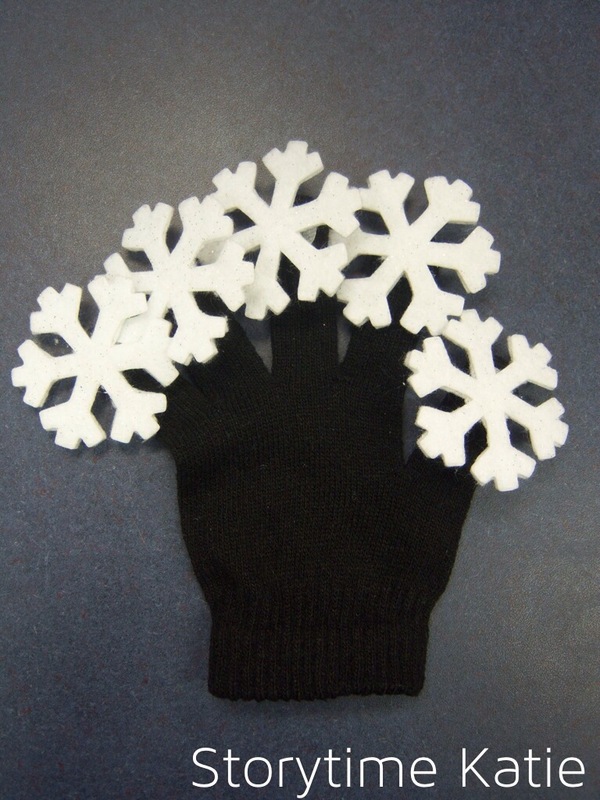 To make the felt stickers work with the glove, I used the back on the sticker as my pattern. 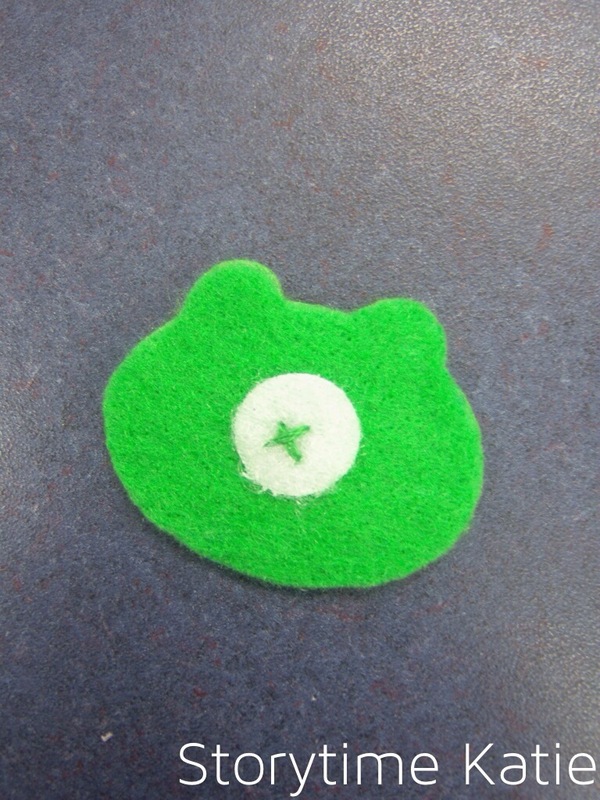 I cut a piece of felt the size of the sticker, sewed a Velcro dot onto the back and glued the felt piece to the back of the sticker. All in all, a little bit of a time consuming project, but highly cost-effective! I LOVE this! 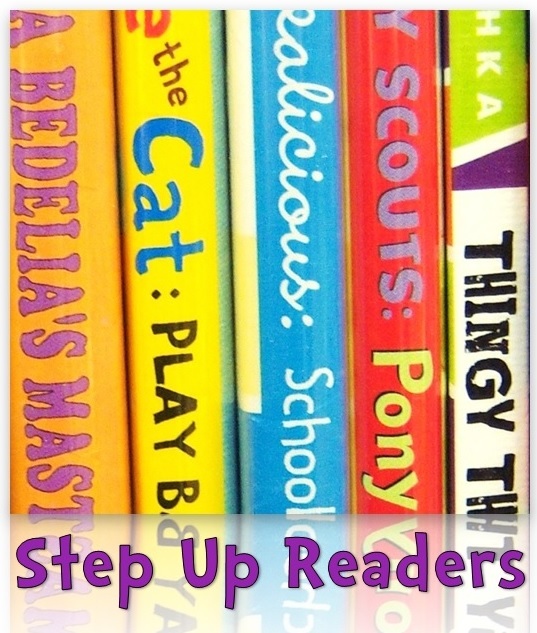 I don’t have space for a flannel board in the room I use for my baby/toddler Story Times – this is the perfect solution! Thanks! Love this idea!!! So convenient for going out with kids (just store in your purse). Doing this this weekend!! This is such a fabulous idea! 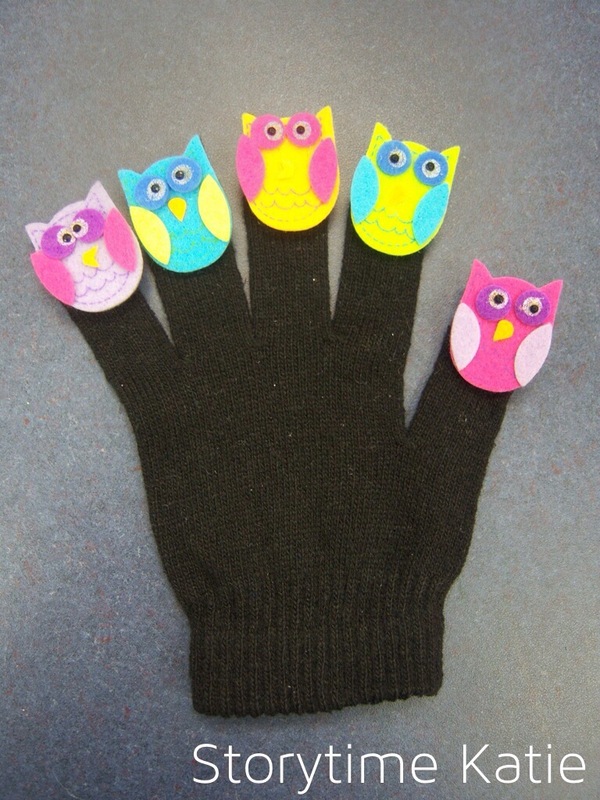 I have seen the gloves before but had never even considered using felt stickers, they are super cute too. Thanks for the fantastic idea! I love your blog! I absolutely love this project and made it to take on the plane with us. It was quick and super cute. Thank you so much for posting this idea! You could do so many stories and songs with this!